Pregnancy can be one of life’s most incredible journeys, full of physical and emotional changes for an expectant mother. On a physical level, rapid growth of the baby and changes in hormones (relaxin) can loosen the ligaments of the pelvis, create postural changes, and potentially turn small imbalances into more significant problems. 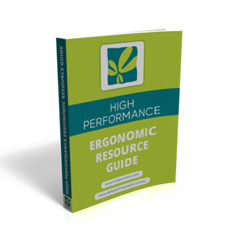 It’s hardly any wonder that 50-70% of woman can experience back pain at some stage of their pregnancy (1). At Stafford Chiropractic and Wellbeing Centre, our chiropractors have a special interest in providing quality pregnancy chiropractic care to expectant mums. Dr Matt and Dr. Alan both have three children, and Dr. Lisa is in the early years of motherhood with her first bundle of joy. Before the birth of their kids, our chiropractors spent considerable time learning and becoming certified in a number of low-force pregnancy techniques. They only recommend to you the same advice they would recommend to their own family. Whether you are planning a natural birth or require medical intervention, our holistic approach aims to relieve pregnancy discomfort where possible, with a strong focus on balancing and strengthening the function of the pelvis and spine. 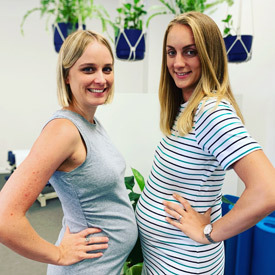 The techniques used in pregnancy chiropractic care prioritize pelvic alignment and are combined with the use of pregnancy pillows so that mums can lie comfortably on our treatment tables. We stock a range of pelvic belts which may assist in helping stabilise the Sacroiliac joints during everyday activities, and our practitioners are able to provide lifestyle advice for optimal sitting and standing, as well as other ergonomic advice. An integrated team approach is often necessary to ensure you get the best possible support during pregnancy, which is why we work closely with, and can recommend other practitioners if required. Your health is our priority. It is our joy to be a part of your amazing life-giving journey. Contact us today to schedule an appointment. (1) J. Sabino and J. N. Grauer. ‘Pregnancy and low back pain’. Current Reviews in Musculoskeletal Medicine. 2008 Jun; 1(2): 137–141.